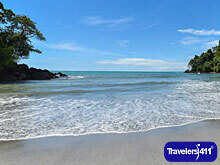 Alex Salazar, Guest Services Manager, Tulemar Resort, Manuel Antonio, Costa Rica. Click here for the Tulemar Resort Directory listing where you'll find links to all interviews with Tulemar Resort in one place. Click here for more info and links to all interviews featuring Alex Salazar. Viviana Jiminez, Certified Naturalist Guide, National Parks, Quepos, Costa Rica. Chef Marlon Fernandez, Executive Chef, Tulemar Resort, Maneul Antonio, Costa Rica. Click here for more info and links to all interviews featuring Chef Marlon Fernandez. Natalia Arguedas, Spa Director, Tulemar Resort, Maneul Antonio, Costa Rica.